Royal Motor Yacht Club is pleased to announce that entries are now open for the Pantaenius Newport to Coffs Coast Yacht Race and invite all yacht owners to enter the race, with fully compliant yachts and multihulls. We have received an amazing number of interested yacht owners’ and crews who have registered their intent to enter and start the race on December 27th 2017 (Day after Boxing Day). 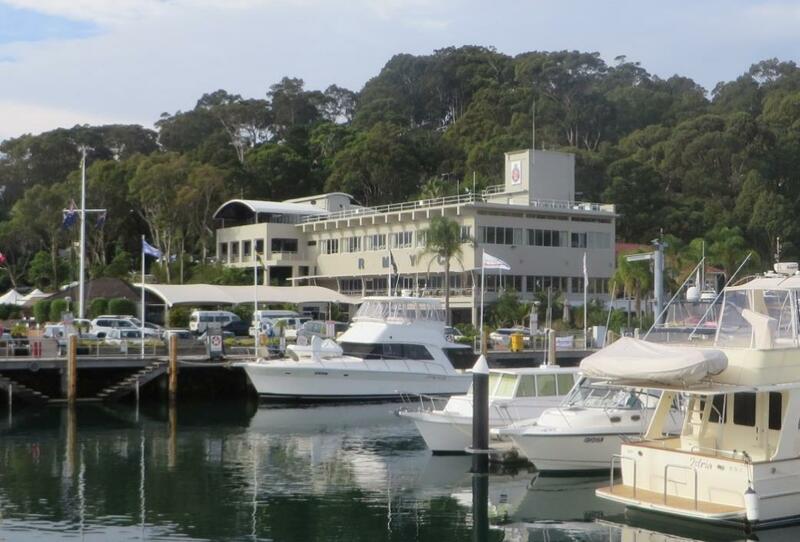 Coffs Harbour Yacht Club are very excited that the tradition of the race will continue and look forward to providing ideal facilities and a huge Coffs welcome for the fleet when they arrive around the 28th - 29th December. There are plenty of social activities planned around the harbour precinct leading into the New Year celebrations. This will mark the 37th running of the Coffs Harbour race and in its new format will be named the “Pantaenius Newport to Coffs Coast Yacht Race”. “It was a privilege to be invited to host this race which is a milestone event for our club and parallels our steady growth in all areas of the club’s activities. We are proud to support this iconic race and believe we can add to its appeal with its new format and timing. “We are delighted to be involved with this race. We have compiled a first class Race Management Team in Denis Thompson and look forward to providing yacht owners, crews, family and friends with a great event, here in Newport and also at Coffs Harbour. The timing of the event between Christmas and New Year should also be attractive to all involved especially for those who have to resume work early in the New Year. We are finalising the Race Documentation which will be available shortly. I am excited to be involved with the Newport to Coffs Coast race again, having been involved with the race for ten years previously. The race is a true test of tactics and strategy with varying winds along the coast and the East Australian Current to contend with. The warm water sailing and warm welcome in Coffs is sure to appeal to a lot of sailors during the Christmas and New Year period. “We are proud to be involved with such an iconic event and all of its history. I did so many of these races in the 80’s & 90’s, and it is great to see the race is safe and in good hands. It is particularly pleasing to see the race return to its original and most successful time slot between Christmas and New Year”. “We are delighted to report that this iconic yacht race will return this summer with a new format and a new date. “We are delighted to partner with the Royal Motor Yacht Club who have been very professional in the process of bringing all of this together. Working with the likes of Rob Brown and his team, is a breath of fresh air. “It’s a new beginning for an old race, a new beginning that has the potential to see it stay alive for many decades to come.” Mr. Innes said. We invite mono hulled yacht owners to enter under IRC, ORCi or PHS and for the multihulls, an OMR division is also included. This will be a Safety Category 3 plus race. Details for compliance is included in the NOR and other Race documents. We will be supplying detailed information for hiring safety equipment for the race in the near future. We look forward to seeing you here at Royal Motor in December.